You really have to stand next to one of these to appreciate 1) how small they are, and 2) how cool looking they are. The Autobianchi company was a partnership between Bianchi, Pirelli and Fiat. The Bianchina was the first car produced by Autobianchi. It was available as a semi-convertible, a full cabriolet, a 2 door coupe and, like this one, a 3 door station wagon. 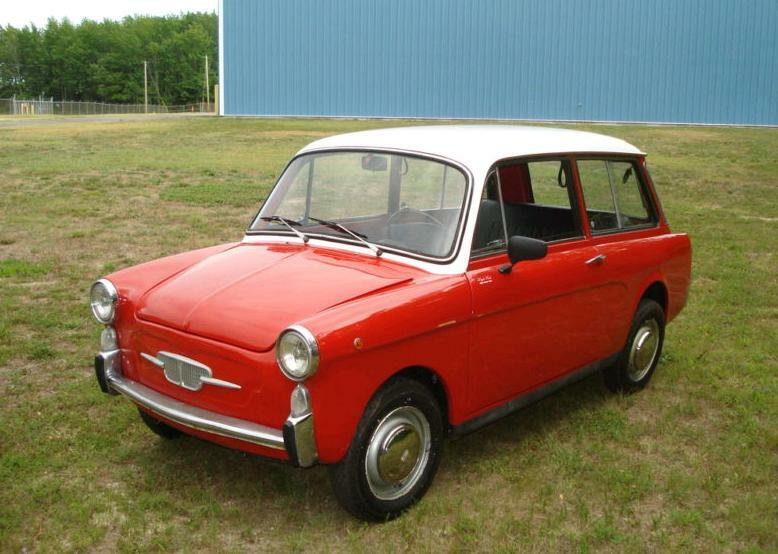 It was based on the Fiat 500 and marketed as an upscale alternative to the 500. 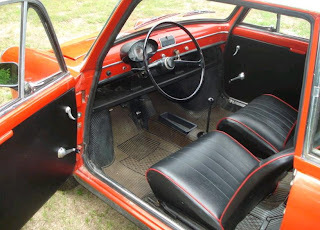 (Which, after looking at the interior of this car, gives you an idea of just how basic the 500 was.) 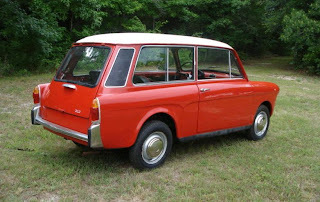 Like the 500, the 17 HP, 499cc engine was in back. This car was purchased by the seller 5 years ago. He drove it on to his car trailer, once around the block and then parked it in his garage, where it stayed until now. This car looks to be in nice condition. The body looks clean. The rear hatch was bent and repaired at one point. The repair is not great, but it's tough to see with the hatch closed. Mechaniaclly, the car runs and drives, but doesn't stop. It needs brake work. A tiny 17 HP car is not something you'd want to drive very often these days. This car is strictly a show car. It's a cool alternative to a Fiat 500 and a car that will get all sorts of attention at any show. Located in Villas, NJ, click here to see the eBay listing. The 120MPH speedo is laughably optimistic. Bet this thing would be a handful at its handling limit. 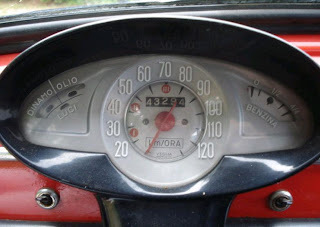 I assume that the speedo is in kilometers. 120km is roughly 75 MPH - Still laughably optimistic!